Imogen's Typewriter. : Beauty Review: KIKO Nail Lacquer in Pearly Golden Green! 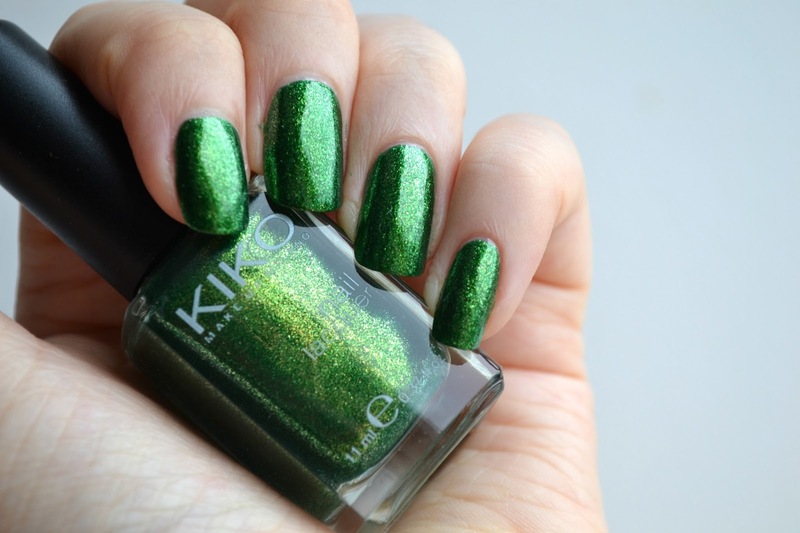 Beauty Review: KIKO Nail Lacquer in Pearly Golden Green! A b-e-a-utiful NOTD today. I can't stop glancing at my nails! It's one of those nail polishes that just brightens your day to look at and is possibly my favourite colour of all of the KIKO polishes I picked up. You can see the others here! You have to be really careful with this one to get very thin layers as it's not the best at drying the thick layers but the formula makes this pretty easy and it's super opaque because of the pearl in it! Love! You can get away with two thin coats because of the shimmer but I liked three because I like a bit of thickness to my polish. Don't you just love pearly nail polishes?